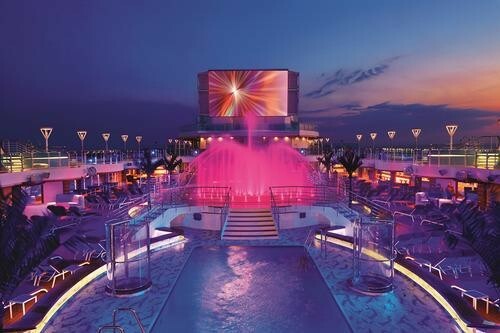 The infinity pool at the back of the ship. Photo from Viking Cruises. Viking Ocean Cruise line isn’t for everyone. But it doesn’t want to be. At a press conference last week—held aboard the two-month-old Viking Star in her home port of Bergen, Norway—the company’s chairman and one of its founders, Torstein Hagen, said that his ocean liners, like his fleet of wildly successful European river ships, are meant to appeal to travelers much like him: older (55-plus), intellectually curious, interested in the world, and somewhat demanding. “If they [cruise passengers] want to be in the sun, get drunk, or hang out in casinos, then they’re in the wrong place,” said Hagen. 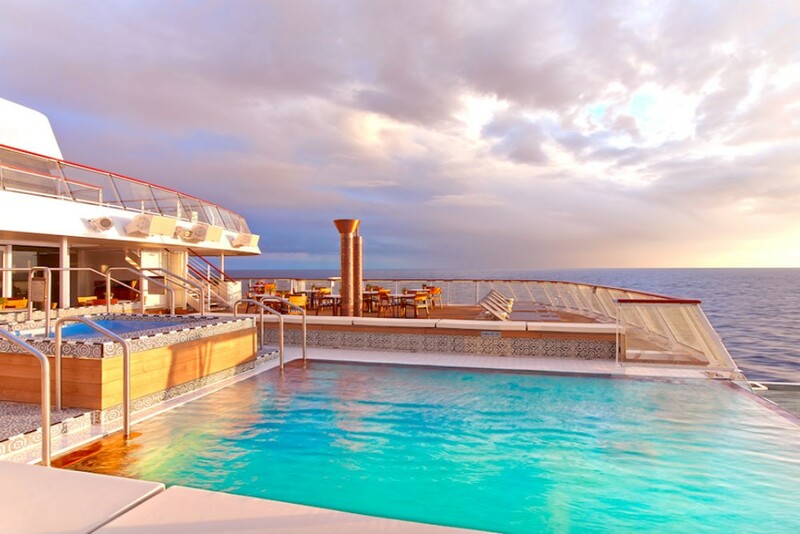 Viking Cruises are for the “thinking man,” he added, “not the drinking man.” The focus will be on the destination first, rather than the ship, he announced, pointing out that their sailings, which are currently in the Baltics and the Mediterranean, will allow for much longer port visits than the competition. In other words, Torstein Hagen is bringing river cruises to oceans. 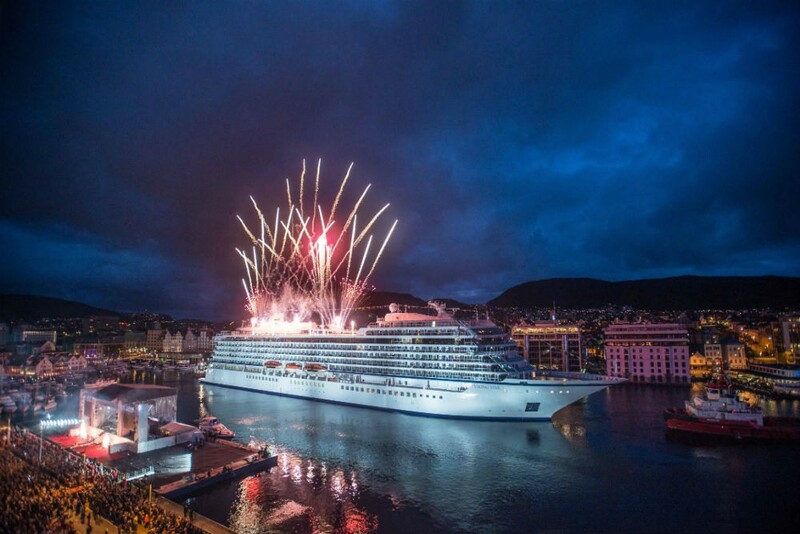 The Viking Star at its christening ceremony, May 2015. Photo from Viking Cruises. I boarded the Viking Star, the company’s first ocean-going vessel, in London (Greenwich, technically) and sailed it up to Bergen (long-ago settlement of the ancient Vikings, appropriately enough), on one of the last legs of her 50-day maiden voyage from Istanbul to Stockholm. She carries 930 passengers, making it one of the smaller big ships around. (By comparison, Royal Caribbean’s Anthem of the Seas, which debuted around the same time, carries more than 4,000 passengers). Two sister ships, the Viking Sea and Viking Sky, are scheduled to roll out of the shipyard in spring 2016 and winter 2017, respectively. Hagen says he’s planning on ten ships in total over the next several years. Ambitious, yes, especially when you consider that Viking is the first ocean cruise line to launch with newly built ships in 17 years, since Disney went to sea, in 1998. Ordinarily, that’d be big news in itself, but what really has travel industry insiders abuzz is that Hagen is looking to revolutionize ocean cruises much the same way he did with river cruises—by giving sophisticated travelers a sophisticated cruise at a reasonable price. The Wintergarden and tea salon. Photo from Viking Cruises. We have Lord and Lady Grantham to thank. 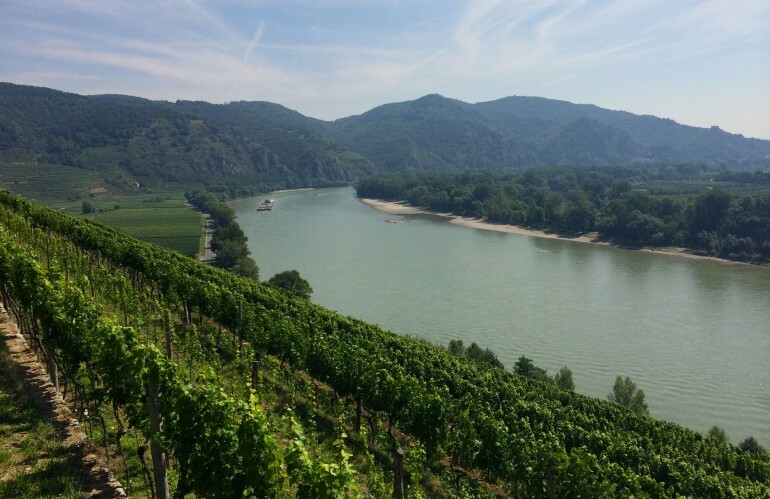 Viking River Cruises has been around since 1997, but it wasn’t until 2011, when the company became the one-and-only sponsor of PBS’s Masterpiece Theatre and its breakout hit, Downton Abbey—by strokes of luck and genius—that the cruise line shifted into rapid expansion mode. “We realized that the people who watch Masterpiece Theatre are our kind of passengers,” said Richard Marnell, Viking’s Senior Vice President of Marketing. Viking had been chugging along with some 20 fairly standard river ships up until then, but after millions of Downton Abbey fans were exposed to the Viking ads, bookings soared, and the company sped up construction of its “longships,” a roomier, sleeker, and more modern take on the old river-ship model. Since 2012, Viking has built more than 40 new longships, establishing itself as the biggest player in the field, by far. Capitalizing on the high demand for their river cruises, Hagen and his team plunged into the ocean-cruise market, applying their same winning formula to the new venture. Along with more time in ports, they offer a more streamlined approach to cruising (no onboard casinos, no sushi bars, no rock walls). They also offer remarkable value: The base cruise fare includes one shore excursion in every port, as well as wine, beer, and soft drinks with meals, and WiFi access. All passengers also have access to the (very nice) onboard spa, and if you’re in one of the higher cruise categories, you get complimentary dry cleaning and laundry. What might cost you hundreds of dollars extra per day on most other cruise lines is essentially free on Viking. 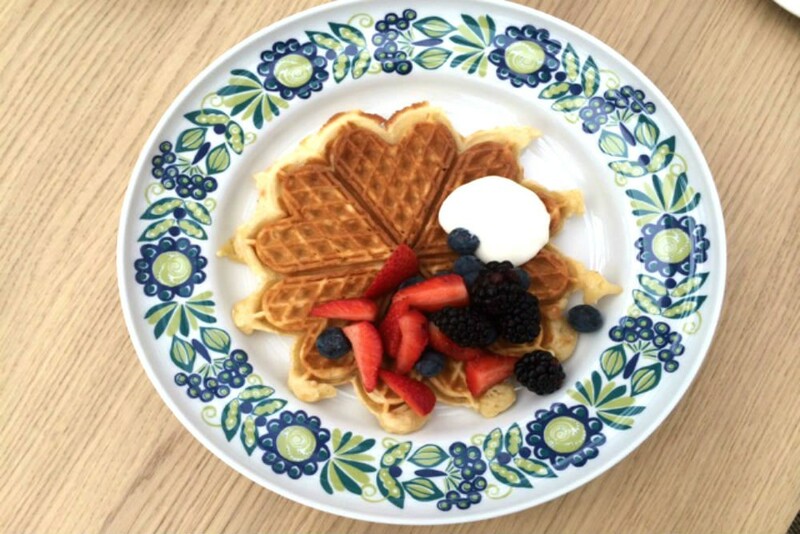 Norwegian-style waffles, fluffier than Swedish ones, are up for grabs morning and afternoon in the little Norwegian deli on deck 7. Despite the fact that Hagen is careful not to bill his ships as luxury vessels (“You will just disappoint people,” he said), the onboard experience is hardly bare bones. The Viking Star has only outside staterooms, all with balconies, and the décor throughout is so refreshingly modern that I found myself constantly (window) shopping for furniture—something I never thought I’d do on a cruise ship. A fabulously curated selection of books are found in every nook and cranny, many tied to the destinations, others about great explorers throughout history. Then there are the delightful Scandinavian-themed touches, in keeping with Torstein Hagen’s Norwegian heritage. A Norwegian deli serves three kinds of herring, gravlax on rye bread, and traditional apple and almond cakes. The artwork displayed throughout the ship is almost predominately Norwegian, including an Edvard Munch lithograph. The onboard spa, which impressed even the most jaded cruise-ship connoisseurs, staffs only Swedish masseuses, offers a “luxury beard treatment,” and has an onboard snow room, to be visited in between sauna sessions in true Nordic tradition. The owner’s suite, which is up for grabs on most sailings, has its own sauna, with floor-to-ceiling windows overlooking the sea. The onboard spa, which all passengers are free to use without paying an additional fee. 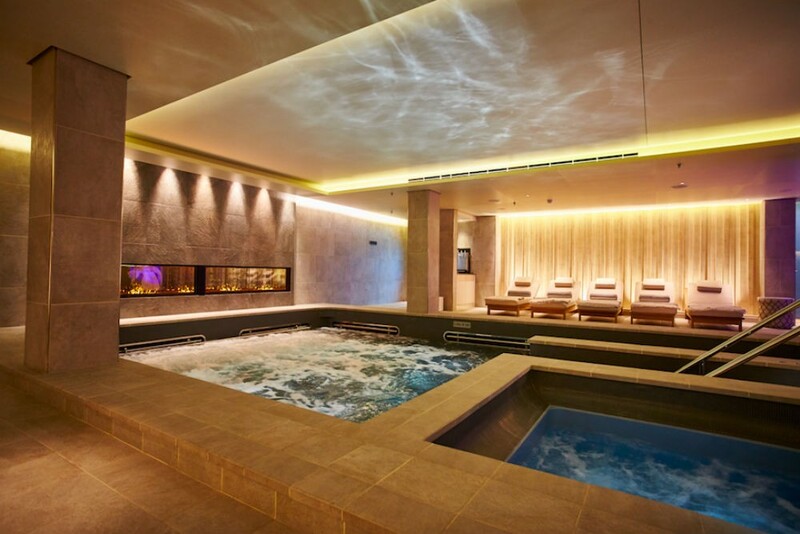 Along with a heated pool and whirlpool, the spa also has saunas, plunge pools, and a snow room. The treatments, which costa extra and are typically pricey, have a Scandinavian theme (Swedish massages only!). Photo from Viking Cruises. Not everything onboard was so innovative. Muzak plays not-too-softly on the otherwise pleasant pool deck, and the nighttime entertainment was less Scandinavian than good-old-American-cruise-ship cliché—the “Rat Pack Revisited” cabaret show and a Broadway-style Mamma Mia medley may have been designed for the older demographic, but passengers of all ages seemed bored stiff. 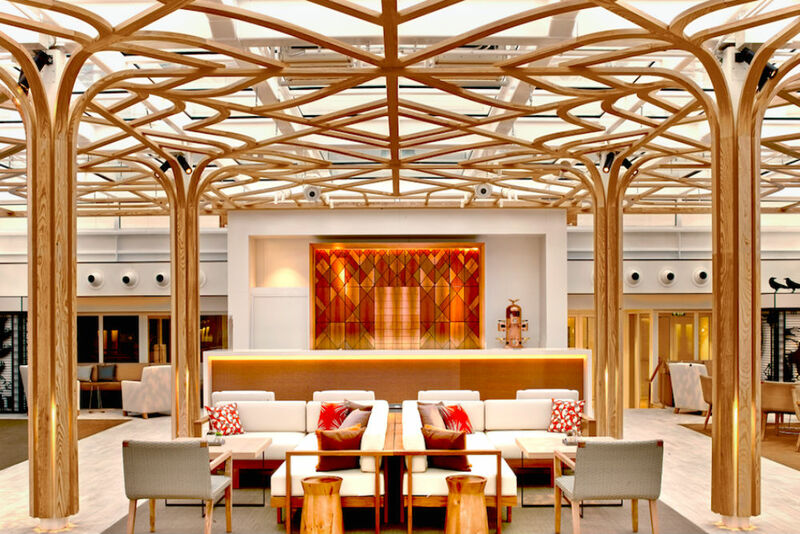 Luckily, at the Explorer’s Lounge—a beautiful space at the front of the ship, with cozy faux-fur pelts on the sofas and the night sky’s constellations lit up on the ceiling after dark—you can sip on Aquavit until the wee hours. The Viking Star may not be for everyone—kids under 16 aren’t allowed, for one thing, and it isn’t small enough to sail into the off-the-beaten-path ports that 200-passenger ships can access—but for a high-quality, high-value cruise with some wonderfully idiosyncratic elements, it seems hard to beat. *Disclosure: Viking Cruises provided me with a six-night stay free of charge. In keeping with WendyPerrin.com standard practice, there was no request for or expectation of coverage on Viking Cruises’ part, nor was anything promised on ours. 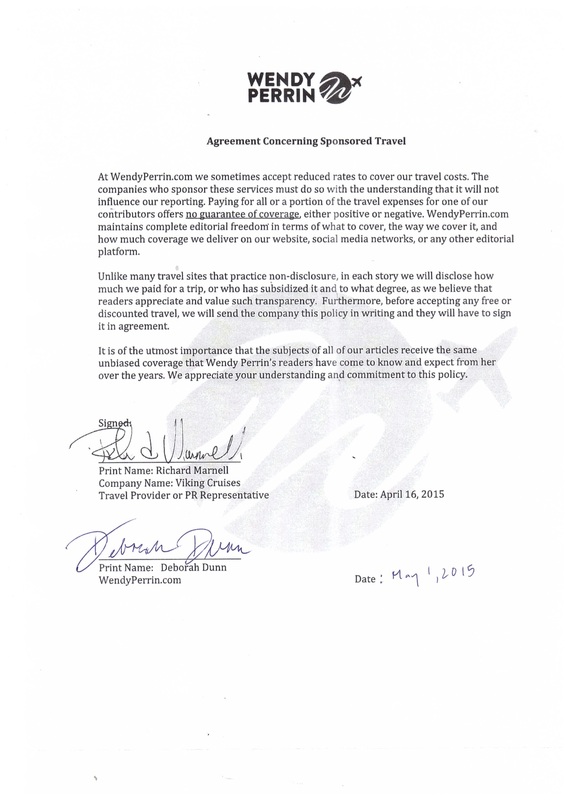 You can read the signed agreement between WendyPerrin.com and Viking Cruises here. Do they have rooms or suites with king size beds? 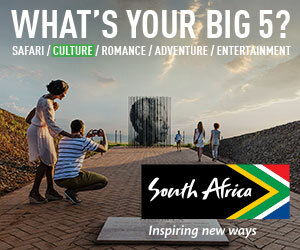 Hi, Susanna: All cabins have European king-size beds, which are 63 inches wide x 79 inches long. That’s a little wider and a little shorter than American queen-size beds (60 x 80 inches), but smaller than American king-size beds (usually 76 x 80 inches).